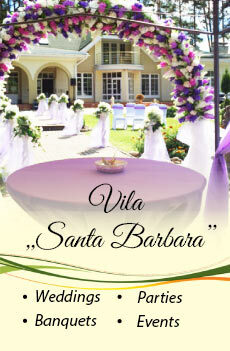 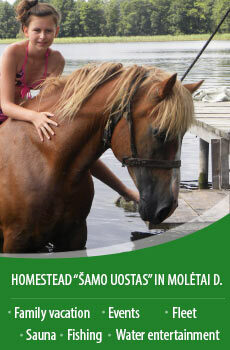 DISCOUNTS offer for couples, families (2-5 persons) vacation and leisure. 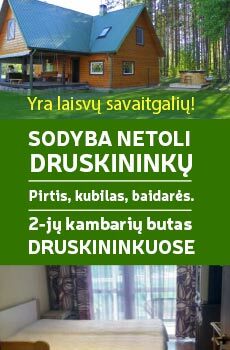 - 120 Eur for 3 nights. 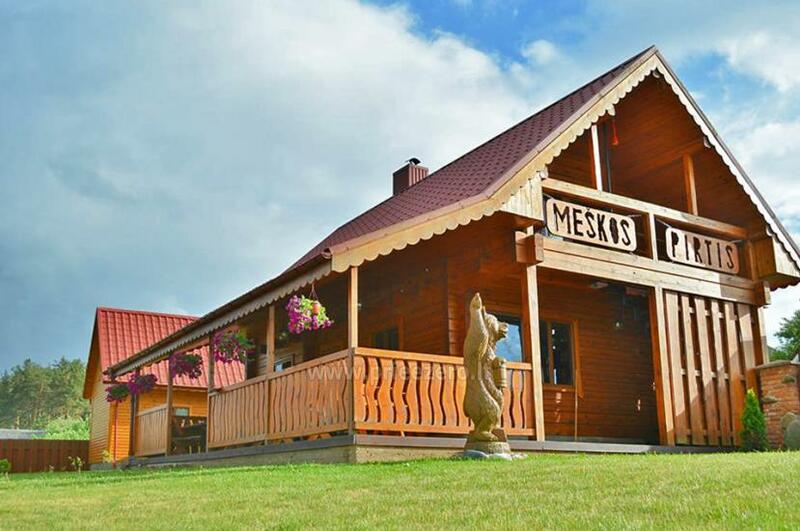 Countryside homestead "Meškos pirtis" near Vilnius city - just 17 km from the center of Vilnius. 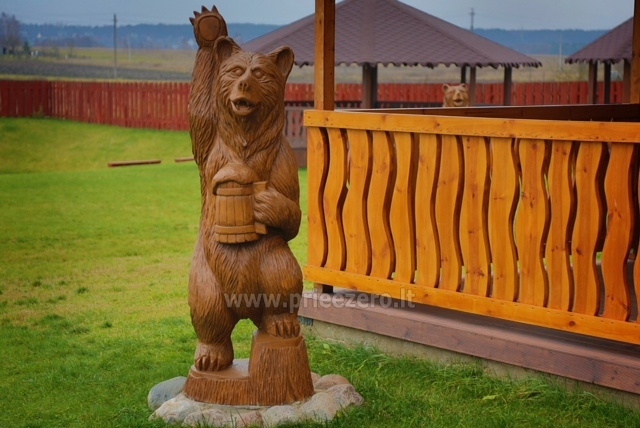 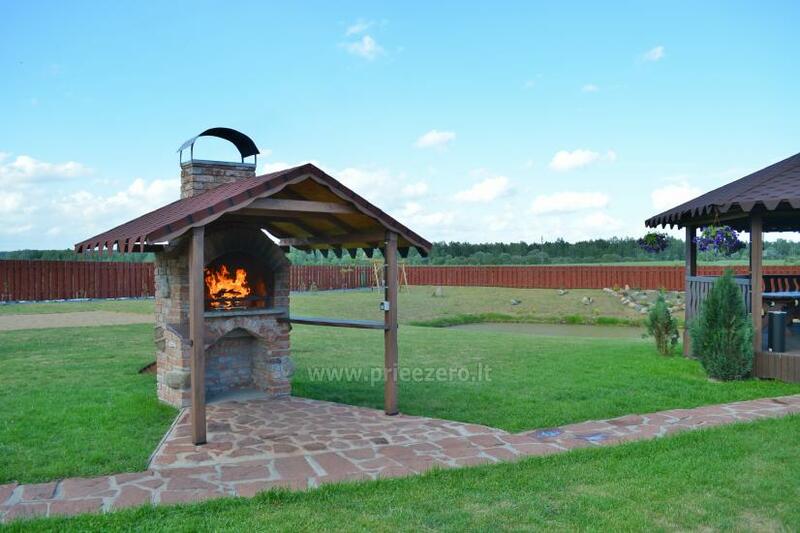 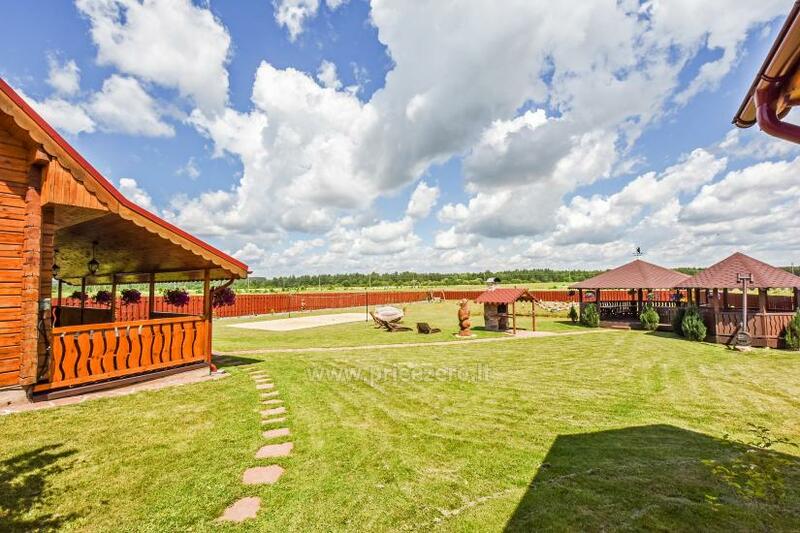 For your vacation, leisure and events we offer a homestead with a large private territory with sports fields and playgrounds, arbors, water pond. 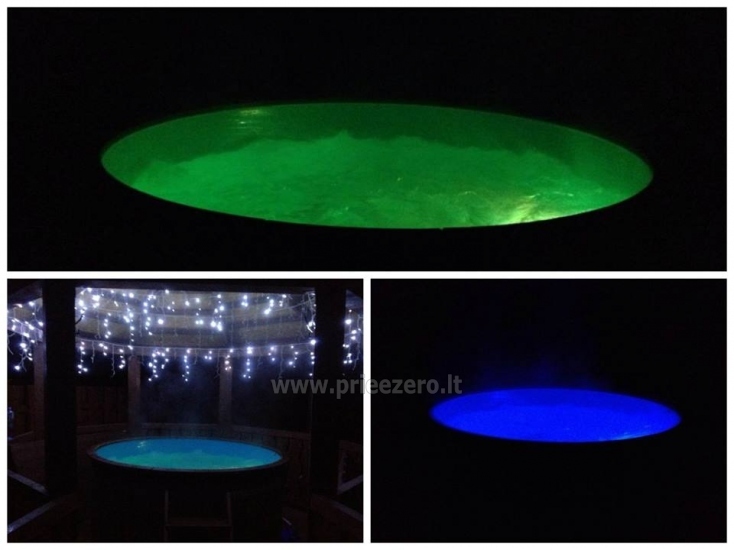 Large hot tub with underwater lights. 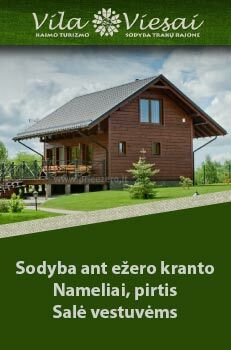 From 150 Eur (Sundays to Thursdays) to 250 Eur (Fridays and Sundays and festive days). 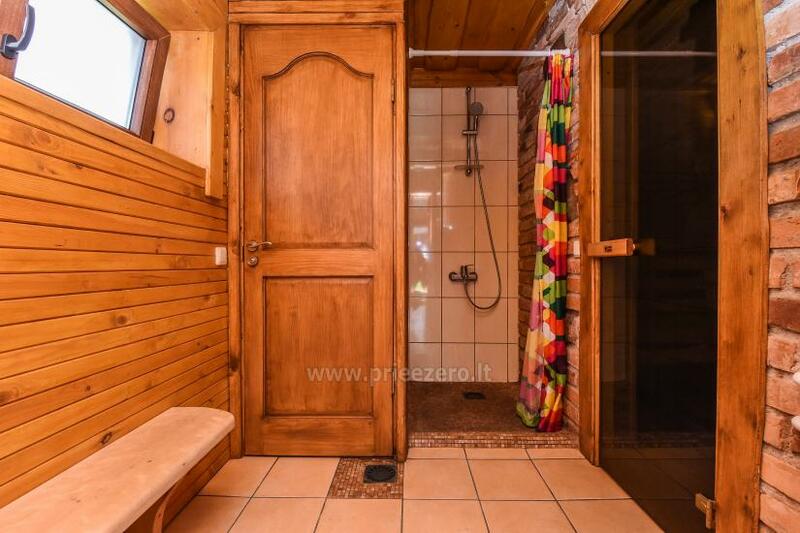 A hot tub - 80 Eur. 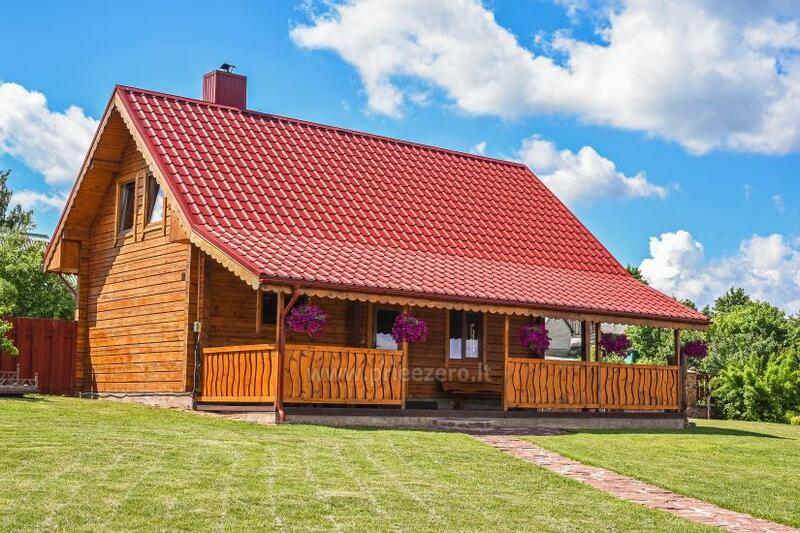 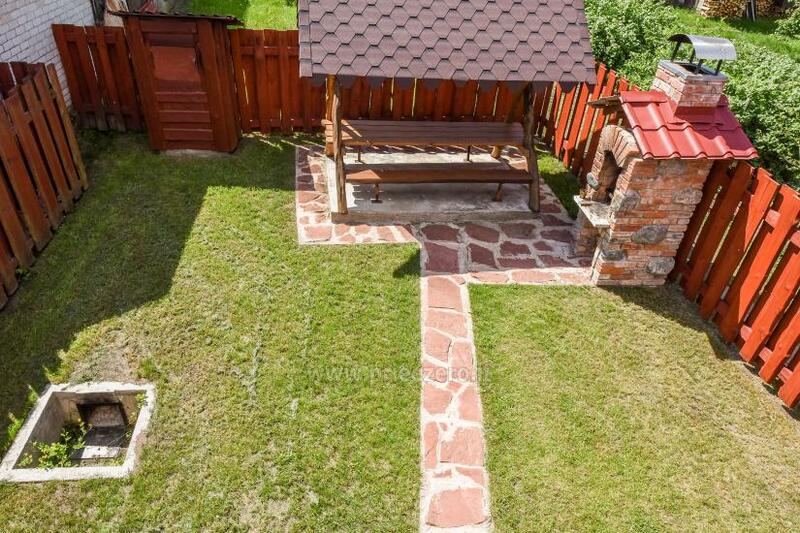 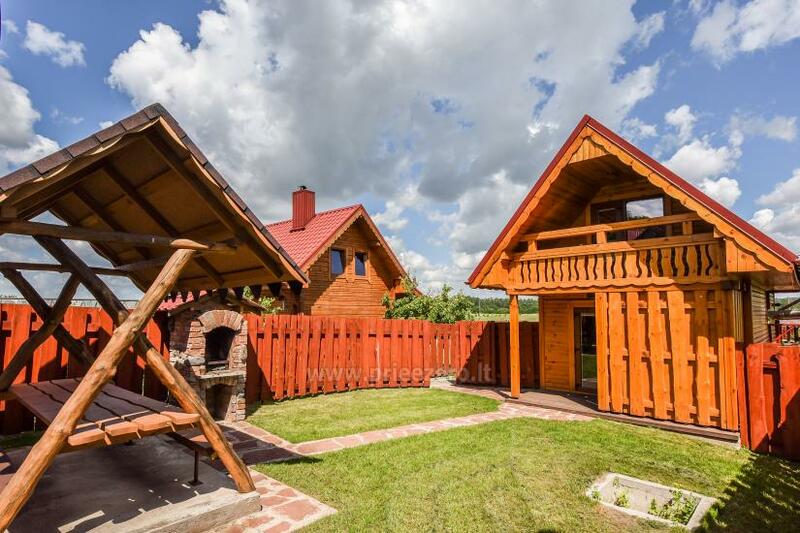 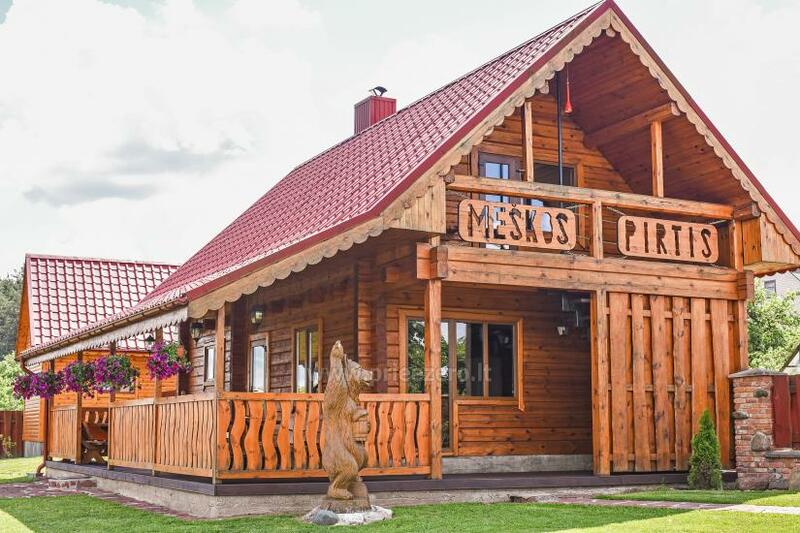 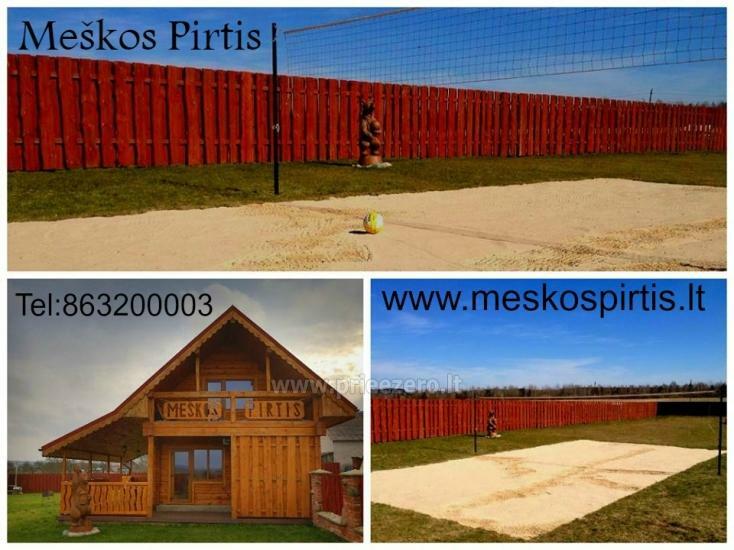 A bathhouse "Mažoji Meškos Pirtelė" is a cozy holiday cottage with a sauna, siting room, kitchen, bedroom and a separate yard with gazebo, fireplace. 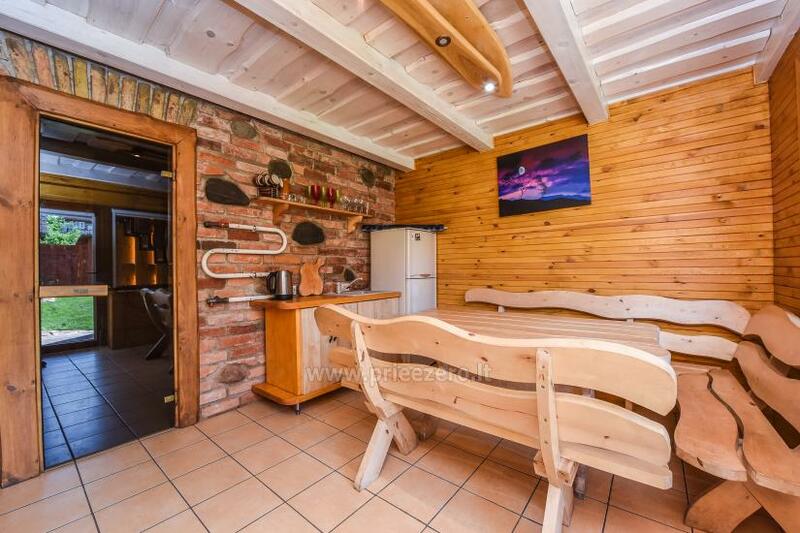 The first floorhas a well-equipped sitting room with wooden furniture, music equipment, Wi-Fi, mini kitchen (dishes, cutlery, fridge, kettle), shower and toilet and an extraordinary steam sauna. 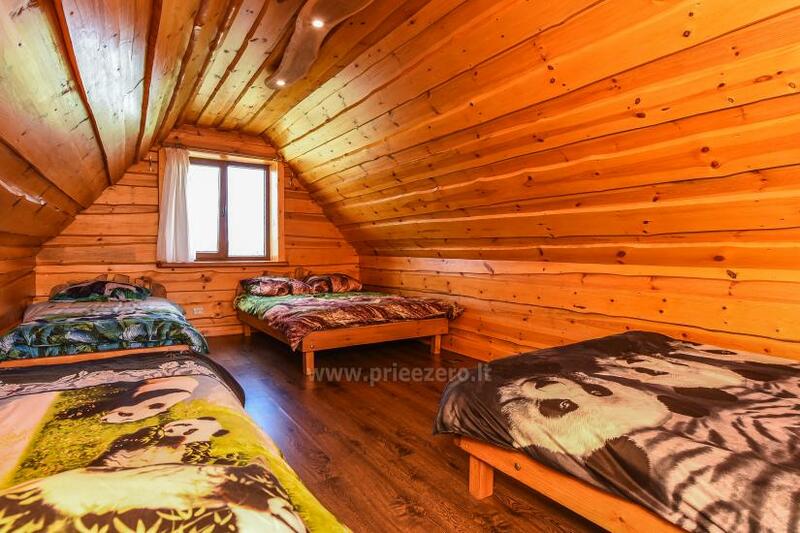 On the second floor there are bedrooms. 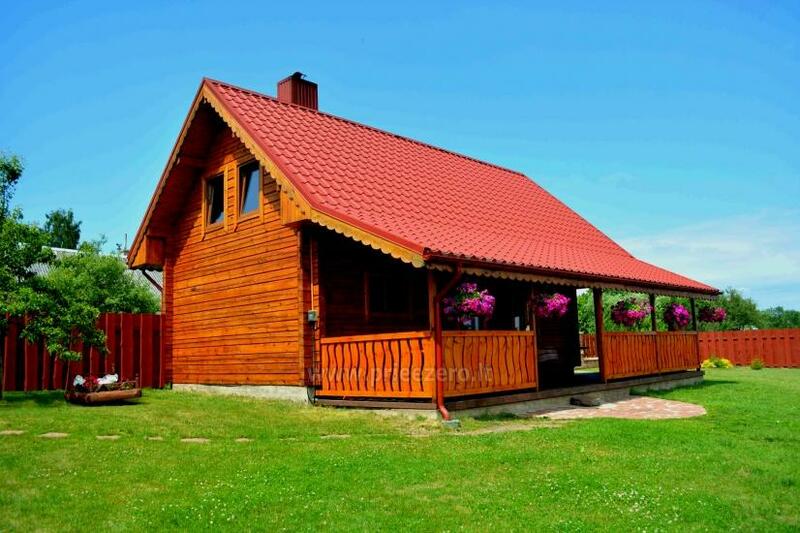 The holiday cottage is perfect for couples, families and friends with up to 8 persons. 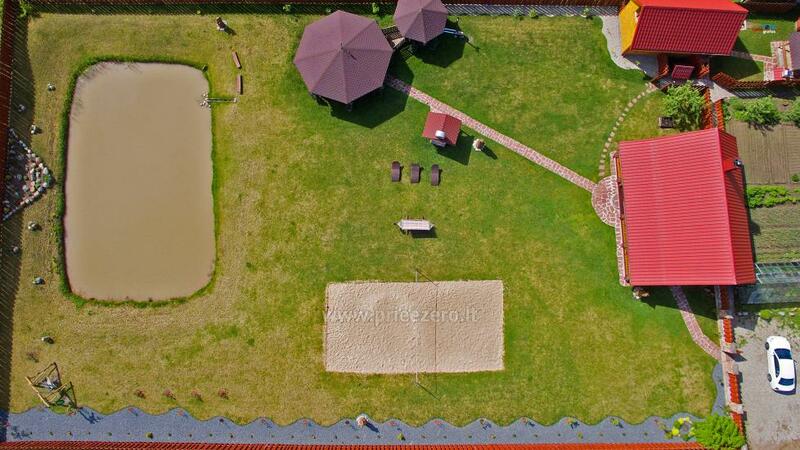 Bathhouse rent price - from 40 Eur per evening night to 120 Eur per night. 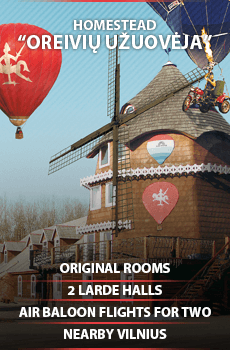 - 170 Eur 120 Eur for 3 nights.